Each of the top 10 ski resorts in North America offer the whole package, from top notch culinary experiences to plush hotels and excellent amenities for families. They are a diverse group of ski destinations, but they all have a few things in common, including amazing skiing (which is the ultimate reason for heading to the high country in the first place), breathtaking verticals, and radical snow. Each year SKI Magazine rates the top 10 ski resorts in North America. While the rankings differ from year to year, there is a group of areas that consistently receive high marks, not just from SKI, but from other various expert resources as well. Over the past few years a core of resorts has remained at the top. Each North American ski resort is judged and ranked according to the following criteria. Considered the number one ski area in North America, Deer Valley is a Utah favorite. Located just minutes from Salt Lake City, it has been nominated the top resort by SKI Magazine for three years in a row. Why the high accolades? Among top-notch lodging options, an array of excellent dining venues, and six famous powder-coated mountains, Deer Valley offers something for everyone in the family. The only top 10 resort located in Canada, Whistler Blackcomb has been one of the top two ski resorts in North America for several years. 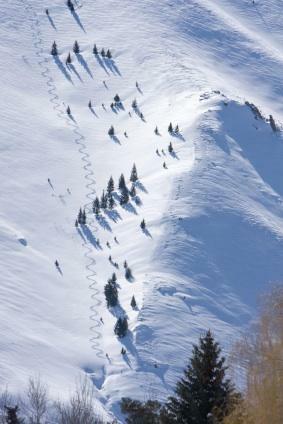 Skiers and snowboarders love its challenging terrain and legendary snowfall. For those who like a more refined experience, Whistler Blackcomb, located in British Columbia, has an excellent apres ski scene and fantastic lodging options. This resort has received many improvements over the past few years, as it is the official alpine skiing venue for the 2010 Olympic and Paralympic Winter Games. A Colorado behemoth, Vail is one of the nation's most beloved ski resorts. It is the largest single ski area on the North American continent, with legendary back bowls, a world-renowned night life, and a jaw-dropping 5,289 skiable acres. Skiers and snowboarders fuel their epic days with 31 ski lifts, one gondola, and three terrain parks, then play at night in Vail's delightful restaurants and nightclubs. During the past few years, the base village has undergone a major facelift, which has added several luxury lodging options and many updated amenities for the ultimate ski experience. Located just 36 miles from Salt Lake City, Park City was the site of the 2002 Winter Games for more than one reason. It is not only a superb winter playground, but also boasts some of the top ski/snowboard terrain in North America. In 2008 the town was named by Forbes Traveler Magazine one of the 20 prettiest towns in the US. Excellent lodging options, five-star dining experiences, family playtime, and plenty of other winter wonderland activities make Park City an ultimate destination. Just down the road from Vail, Beaver Creek is well-known for its luxury accommodations, fine dining and an away-from-it-all environment. The mountain boasts a variety of terrain, including posh powder stashes, entertaining bump runs, and immaculately groomed slopes.Lay your head down inside one of the resorts many luxury hotel or condo options and tempt your stomach with a meal at one of the incredible restaurants. The second largest ski area in the country, Snowmass also has one of the highest vertical rises of any ski areas in the United States. A brand-spanking new base village boasts luxury hotel and condo accommodations, as well as new, fun dining options. A fantastic ski school and plenty of programs for children makes Snowmass an ideal ski resort for families. In 1935, Count Felix Schaffgotsch was asked by the Union Pacific Railroad to search for the perfect spot that would house a "grand American resort." After months of searching, the count reached Ketchum Valley in Idaho and declared that the area combined "more delightful features than any place I have ever seen in Switzerland, Austria or the U.S. for a winter resort." This area eventually became Sun Valley, which is set among one million acres of wilderness. Today, the ski area boasts an amazing variety of ski terrain, and a host of winter activities including snowmobiling, winter fly fishing, mushing with huskies and ice skating. The resort is so well loved that Conde Nast Traveler magazine named it one of the "top 10 ski resorts in 2008." A California favorite since 1949, Squaw Valley is one of the West's top ski resorts. It is the second largest ski area at Lake Tahoe. With a base of 6,200 feet, and spread across six peaks and 4,000 acres, the resort receives more than 40 feet of snow in winter and a ton of steep, granite-laden terrain, Squaw Valley is considered a perfect Big Mountain (steep) ski resort. Californians love heading to Mammoth, particularly when a Pacific storm dumps several feet of snow at one time. The resort is located in the Sierra Nevada mountain range and has more than 3,500 acres of terrain to ski and snowboard. More than 400 inches of annual snowfall, a six month ski season, 150 trails and seven free-skiing/snowboard terrain parks all make Mammoth a world-class resort. After skiing, enjoy a beer on the deck of the Yodler, or take in a meal at the Lakefront Restaurant at Tamrack Lodge. In addition to high-end dining, start off your day with a breakfast burrito at the Chip Shot Cafe--the ultimate beginning to a perfect ski day. 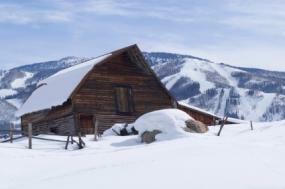 Steamboat Springs offers a glimpse of the Old West and top-notch skiing all in one package. Steamboat Springs is a Wild West favorite. Known for its ridiculously light champagne powder and 2,965 acres of terrain, this resort still retains its old-school roots. Steamboat has not only eschewed the typical modernization of other North American ski resorts, it maintains a certain rawness that is tantalizing to skiers and snowboarders. However, in addition to a Wild West attitude, Steamboat also offers some excellent dining options and lodging that embodies everything from luxury homes and condos to down-home bed and breakfast accommodations. Paying a visit to all of these resorts would be a skier's dream, but it's also quite a tall order. Why not choose three to four that you really want to experience, and put them on your dream list. If you manage to visit each of those, add on a couple more. It might take you several years, but you just may wind up visiting them all.